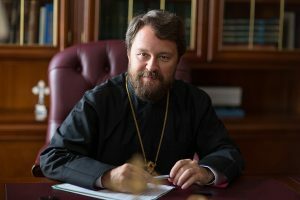 On the eve of the 15th anniversary of his episcopal consecration, which took place on August 19, 1987, Metropolitan Hilarion of Volokolamsk, head of the Moscow Patriarchate department for external church relations, gave an interview to Rossijskaya Gazeta. I Work as an Interpreter for a Men’s Magazine. Is It a Sin? – Your Eminence, on August 19 it will be the 30th anniversary of your episcopal consecration. Tell us how did you make up your mind to become a priest. Have you ever regretted or doubted the path you have chosen? – I made the decision to dedicate my life to the service of the Church when I was 15. At that time I attended a music school. I was trained for the career of professional composer. But I was attracted to the Church most of all, attracted by the very atmosphere of the liturgy; the whole order of church life seemed to be my own. Together with my mother we made pilgrimages to various monasteries, together read works of holy fathers and theological literature and talked with priests and elders. The decision to become a priest was gradually growing ripe, but it was a well-considered, well-weighed and unshakable decision. Since I became a monk and shortly a priest, I have never regretted my choice, never doubted its validity. I would not change this service for anything else. – As a clergyman, you have served in various places beginning from Moscow to Vienna churches. Tell us how diverse the practice of your service was. And what did you like and do you like most of all in your service of God? – To hear confessions? To celebrate the Liturgy? To take pastoral care of your spiritual children? – Celebration of the Liturgy is the spiritual core around which the whole life of a priest is built up. It is the liturgy, the standing at God’s Altar that gives you strength to do the rest. 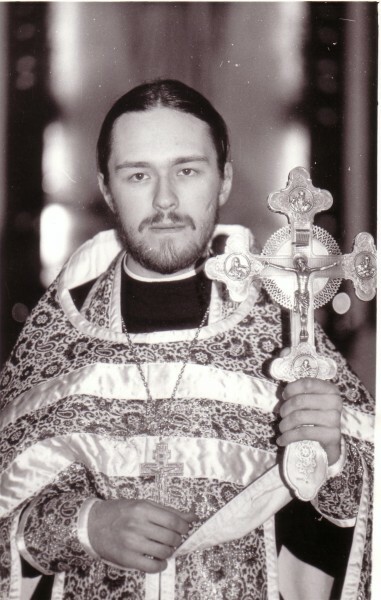 Thirty years ago I began my priestly ministry in a monastery. But not before long I was sent to a parish and became rector first of two and later four churches in the Lithuanian heartland. Three churches of four were located in villages in which almost no Orthodox people remained, with most of them lying in cemeteries. Radonitsa, the commemoration day of the departed, was the main day of the year, when relatives would come from all over Lithuania to commemorate their dead. And then there was lull till the next Radonitsa. Even on Easter there were no more than 30 people at the service. After that was a parish in Kaunas – quite a different task. There were many parishioners and much work. I began coming to a Russian school to give religious instruction to children, first in one class, then in two and later in all the ten of them. It was an interesting as well as joyful time. Then there were studies at Moscow Theological Seminary, training at Oxford, return to Moscow, a meeting with Metropolitan Kirill, now His Holiness the Patriarch. That meeting completely changed my life. If before I was engaged only in pastoral ministry and doing theology, now a new field of work was opened before me, that of external church relations. Twenty-two years ago I stepped into it and now continue with God’s help to tread it. 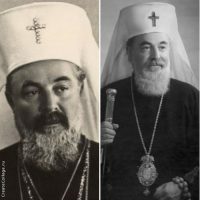 After six years of work under the guidance of Metropolitan Kirill at the Department for External Church Relations, I was consecrated as bishop and performed various duties in England, Belgium, Austria and Hungary. 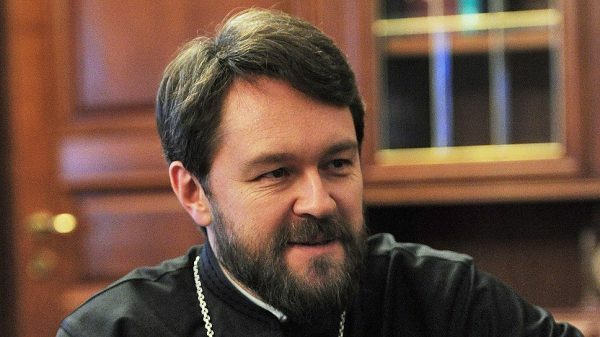 And for eight and a half years now I have been in Moscow as head of the DECR, chairman of the Theological Commission, rector of the Ss Cyril and Methodius Institute for Post-graduate Studies, rector of the church in Ordynka Street. – You have written quite a number of books including you latest fundamental work ‘Jesus Christ. Life and Teaching’. What language you think should be used to speak to the modern world about God and Salvation? – First, you should speak in the language of which you yourself have a good command; secondly, an intelligible one for people. I seek to use as much as I can all the languages I master. These are not only languages in literal sense, that is, native and foreign. One language is required for a sermon, another for a TV talk, a third one for a book, a fourth one for an article, a fifth one for an interview, a sixth one for a personal talk, a seventh one for taking a confession and for other sacraments. In addition to the language of words, there is a language of music, in which I sometimes try to convey something to people. But I use all these languages with a single goal to tell people about God, about Christ, about the Church and about salvation. Perhaps, it was what I was ordained for 30 thirty years ago. Indeed, the service of a priest or a bishop is continuation of the apostolic ministry. The preaching of Christ occupies the central place in it, and I seek to carry out this preaching by all means available to me. – Do you continue composing music? Do you like the Orthodox liturgy from the musical point of view? What would you like it to be from the musical point of view? – The peak of my musical work fell on the period from 2006 to 2008, when I composed several major works one after another – the Divine Liturgy, the All-Night Vigil, ‘St. Matthew Passions’, ‘Easter Oratorio’, the symphony ‘A Song of Ascent’ – Psalms set to music. Then I also composed a few small pieces including cantata ‘Stabat Mater’. And since 2012, I have composed no music at all. No time. Liturgical singing should be, above all, prayerful. It should not divert people from prayer but rather encourage it. I am very upset when a choir sings too loud or performs concert numbers. What is important in liturgy is integrity, which also concerns the singing of the church choir. I very much love the Old Russian chanting. But I also love today’s four-voice polyphony, provided that they sing distinctly and devotionally.